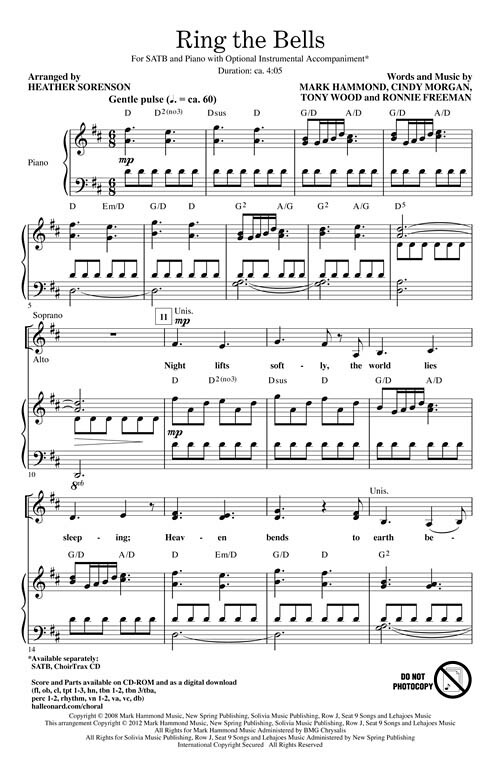 Several contemporary artists have recorded this popular song, and now it is available in choral form. Your choir will appreciate the fun and contrasting colors in this stellar arrangement by Heather Sorensen. Available separately: SATB, ChoirTrax CD. Score and parts (fl, ob, cl, tpt 1-3, hn, tbn 1-2, tbn 3/tba, perc 1-2, rhythm, vn 1-2, va, vc, db) available as a CD-ROM and as a digital download. Duration: ca. 4:05.